Brad Bird’s Tomorrowland has quickly turned into a bomb for the Walt Disney Studios. 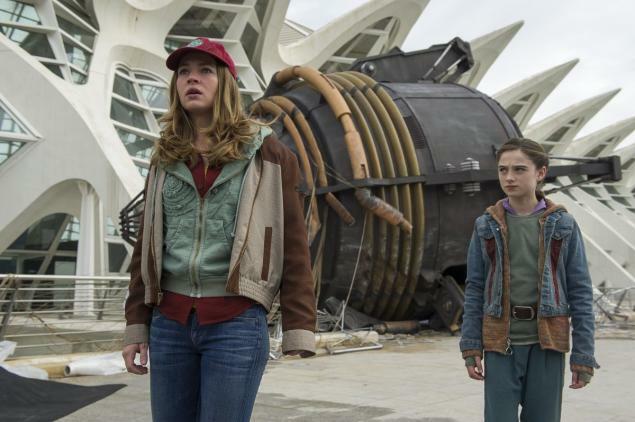 Failing to win over the box office and garnering a mixed reception from critics, Tomorrowland is already drawing comparisons to another Disney bomb, John Carter (another live-action sci-fi flick directed by a former/future Pixar director). This is an unfair comparison since, unlike John Carter, Tomorrowland is actually entertaining. 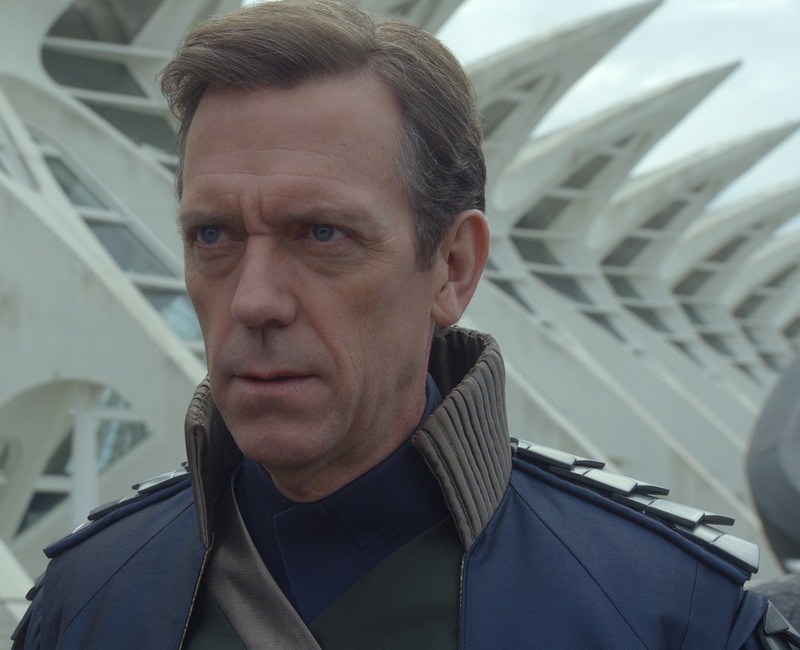 Yes, Tomorrowland is a flawed film. It often can’t decide whether it wants to be a whimsical, bewildering sci-fi adventure (in which it mostly succeeds) or a fast-paced action flick (in which it’s less consistent). Some of the visual effects aren’t nearly as convincing as others, leaving one to wonder how Disney of all studios could skimp in that department. But Tomorrowland is, in its own way, a beautiful movie. It has a sense of imagination that is uncommon in (would-be) blockbusters, and it has a lovely, earnest message that goes against the increasing cynicism of today’s movies (and culture in general). The setup of the film is that the titular Tomorrowland (which is only referred to by name once in the movie) is a community within another dimension founded by the likes of Nikola Tessla and Jules Verne, where scientists, artists and other such “dreamers” are transported in order to make their creations without the burdens of Earth getting in the way. Of course, these dreamers do this to help make a better future for a troubled Earth. This being a movie, something goes wrong in this seemingly perfect community of creative minds, and the promising world of Tomorrowland abandons its original goal of helping Earth, and Tomorrowland itself is left behind to all but a select few. Although marketing would have you believe George Clooney’s character, Frank Walker, is the star of the film, he’s only a supporting player. 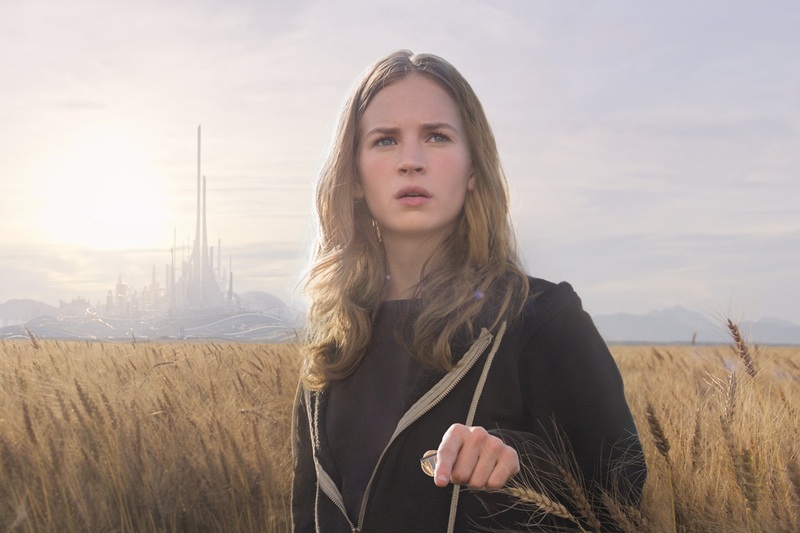 The movie’s real focus is on Casey Newton (Britt Robertson), an optimistic tech-genius, and Athena, an android bearing the likeness of a young girl, who is still following her mission to bring more great minds to Tomorrowland. Both of the female leads are a highlight of the film, as neither of them fall under the tropes that most other movies would blindly follow when it comes to female characters (even Age of Ultron largely reduced Scarlett Johansson’s Black Widow into little more than a romantic interest for Bruce Banner). It’s baffling that Disney hasn’t played up the “girl power” heroines of this movie more, given the wild success Disney has seen in that area in recent years. Casey and Athena serve as the real heart of the film. Sure, George Clooney brings the star power, but it’s time we stop pretending that George Clooney ever plays any character other than George Clooney in every movie he’s in. In this day and age, when even the Avengers ends on the sour note of two robots discussing how doomed mankind is, it is infinitely refreshing to see a movie that is not only hopeful and optimistic, but that outright dismisses cynicism itself. While just about every other big budget movie aims for dark and gritty, Tomorrowland can’t think of anything more annoying than just that. I have also heard a number of people write off the movie as “weird.” But its weirdness is one of Tomorrowland’s best qualities. I grow tired of sci-fi and fantasy movies feeling the unnecessary need to explain their every last detail to their audience. Movies these days are so afraid that they might alienate some of their audience with imagination that they either over explain or under develop their fantastic elements. There’s no awe to sci-fi and fantasy when they spoonfeed audiences their every detail. Tomorrowland is a weird movie. But weird is wonderful. I love that it only went into detail with what needed to be addressed, while a good deal of other things were gleefully left unexplained. There’s even a fun line of dialogue that more or less dismisses audiences wanting more exposition. There’s something admirable about a movie so defiant in wanting to be itself. As mentioned previously, Tomorrowland does have its share of problems. It is the weakest of Brad Bird’s five directed films due to the aforementioned inconsistency in its tone, as well as some story mishaps (the movie makes the unwise choice of ending on an explosion-heavy action sequence, which undermines its feel-good intentions). Some may also find the insistent Disney references eye-rolling, but what were you expecting in a film called Tomorrowland? Ultimately though, Tomorrowland is far more enjoyable than it’s getting credit for. Its box office failure has been discouraging enough for Disney to cancel its long-gestating Tron 3, and it looks like the studio will go the John Carter route with Tomorrowland and slowly but surely pretend like it never existed. Again, this is a shame, since Tomorrowland – despite its obvious flaws -boasts more honesty and originality than a lot of the movies that are making a billion dollars these days. Tomorrowland is dismissed for being weird, but that’s what makes it unique among more cliched genre movies. It’s been written off by critics and audiences for its optimism, but that may just prove the movie’s commentary on cynicism to be more than a little accurate. I am going to watch it soon. Despite the fact it is a Brad Bird film, I was not planning on watching it, but a friend of mine has invited me to go, so I will! Hopefully I will agree with you. Hopefully you enjoy it. I know I did a lot more than most people. I loved this movie and your review was spot-on. I too, appreciated the parts that were left unknown. I also agree on George Clooney always playing George Clooney, which in most cases, I certainly don’t mind. I thought that the two young female characters were really inspiring, especially Athena, who was so thoughtful and charming, that Clooney’s character was still mending his broken heart when he thought that she abandoned him after so many years. Holy cow. Somebody actually got the point of TomorrowLand. Or perhaps everyone did, but hates that it (rightfully) calls out cynics.